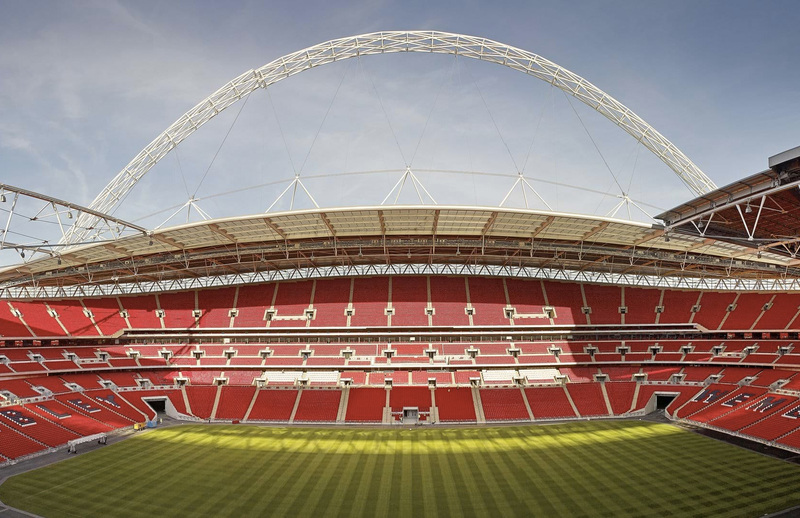 Is Wembley Football Stadium is for sale? Billionaire US business mogul and Fulham FC owner Shahid Khan is seeking to buy the sacred soccer grounds from the Football Association for around £800m. Khan also owns NFL franchise the Jacksonville Jaguars. 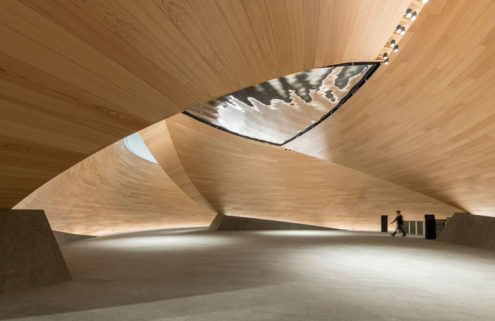 News outlets the Independent and Evening Standard speculate the 90,000 capacity stadium might even lead to the establishment of a London-based NFL team – something Khan has mooted in the past – with the Jaguars taking up residency from September to January. 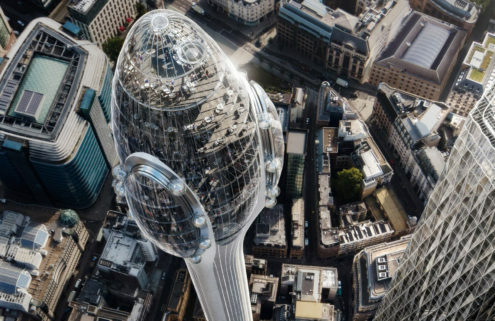 So far, it’s understood that the businessman has tabled an upfront offer of £500m for the stadium, which was completed in 2007 and designed by Populous and Foster + Partners. 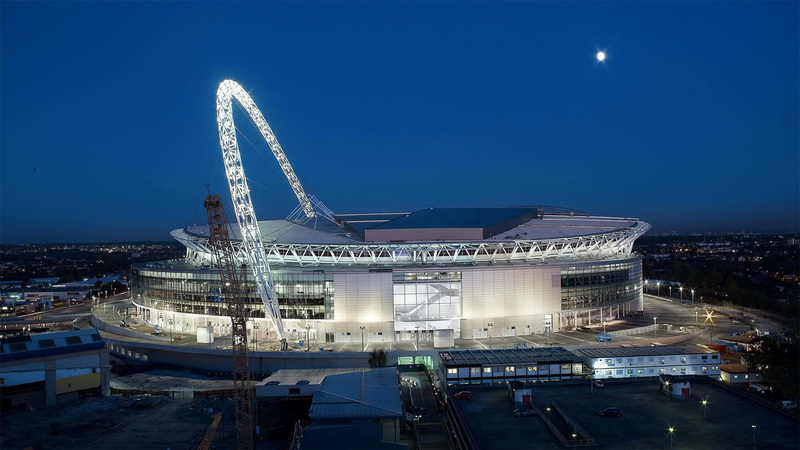 Crowned by a 134-metre-high arch, the stadium replaced a 1923 structure, designed by Sir John William Simpson, Maxwell Ayrton and engineer Sir Owen Williams, and famous for its twin towers. 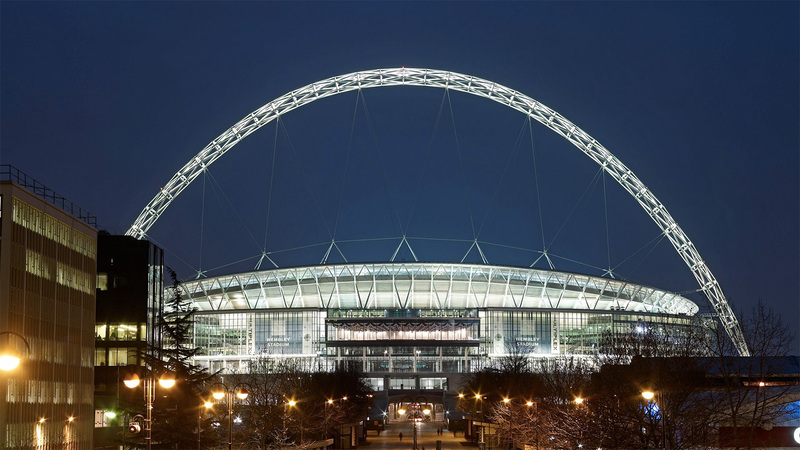 It is believed the FA would continue to run the Club Wembley hospitality business which is valued at around the £300m mark. But if the Jaguars move in, it doesn’t mean the England team will be moving out. 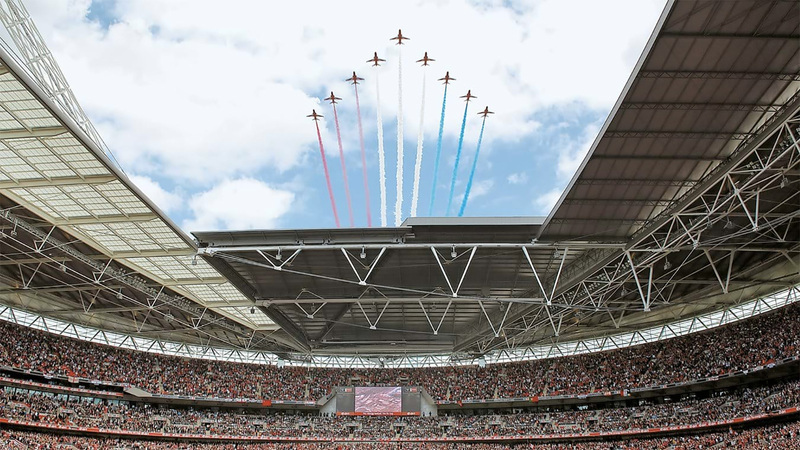 Most of their international games would still be played at the feted venue, but games falling throughout the NFL’s autumn season would be played elsewhere. 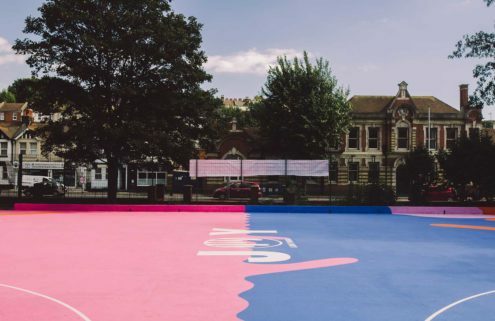 According to The Independent, money from the sale would be reinvested in hundreds of 3G and 4G pitches across the country, as well as upgrading existing facilities, which lag behind those of other European nations. Fulham fans might be disappointed to hear their Championship side won’t be moving into the storied digs – their historic stadium Craven Cottage just got planning permission to be extended last month. 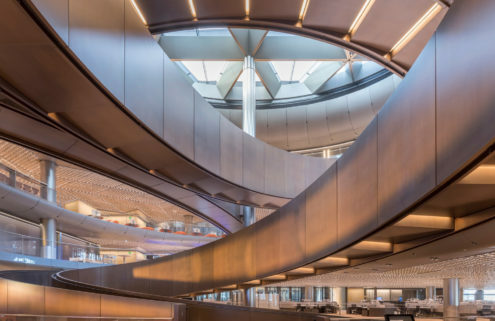 Which of these will be crowned ‘Britain’s best new building’?